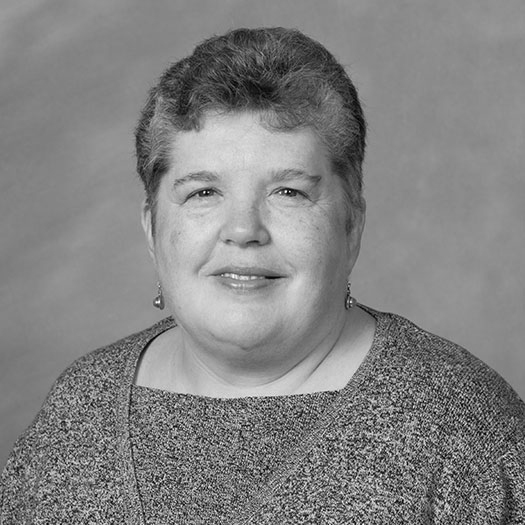 Once a cheerleader for the Deacs and now a champion for support of Navy families, Joette Horton Seniff ('90) receives rare civilian honor for her public service. Joette Seniff, center, with Rear Admiral B.L. Losey, left, and her husband, Captain Todd Seniff. 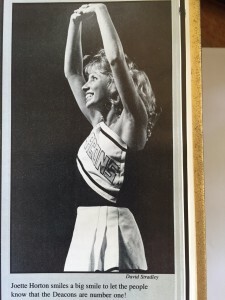 Back in the day when Joette Horton Seniff (’90) was an energetic cheerleader for the Demon Deacons, her challenge was to keep the crowd engaged, inspired and enthusiastic. 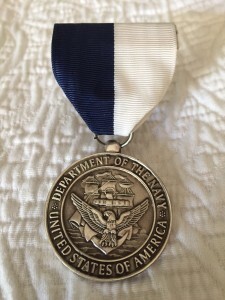 Today, as a Navy spouse, she’s a cheerleader of a different sort but her challenges are much the same: connecting families of Navy service members worldwide and offering them support and camaraderie during extended deployments, much-anticipated returns and in hardship, illness or even loss. Seniff has experienced firsthand the highs and lows facing military families. She and her husband, Navy SEAL Captain Todd Seniff, and their two sons, 17-year-old Jackson and 16-year-old Blanchard, have been stationed around the world. Currently they live in Coronado, California, but have always considered themselves members of a global community. A business major at Wake Forest, Seniff went to work in consumer food marketing for General Mills after graduation. She was transferred to Norfolk, Virginia, and wasn’t sure what to expect in a military town. But there she met some of the smartest people she’d ever known, including her future husband, Todd, a graduate of the University of Vermont and Oxford. “It was a nice balance,” she says. “I majored in business and accounting and he majored in English.” After four years of marriage they moved to Italy, where their oldest son was born. 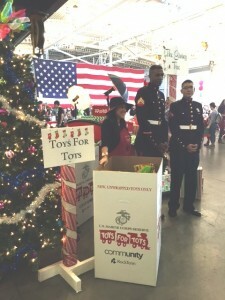 Joette Seniff encouraged military families to give back, and they did: to Toys for Tots at a holiday party. 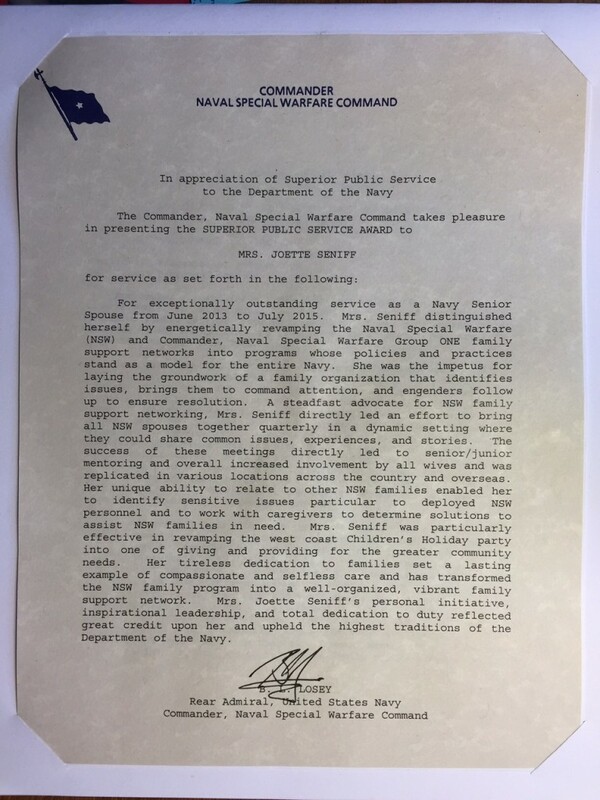 Seniff draws on her business education to identify opportunities to link organizations with families who need a particular resource, as well as bring issues to the attention of appropriate staff at the Department of the Navy. In addition she was instrumental in revamping the West Coast Children’s Holiday Party into one of giving and providing for the greater community need. Military families donated unwrapped items to Toys for Tots, coats for homeless youth and more than 11,000 pounds of food to the local food bank. 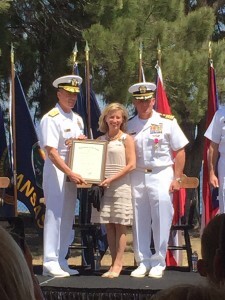 The Naval Special Warfare Command’s Superior Public Service Award presented to Joette Seniff. Seniff, a SOPH who plans to return for her 25th class reunion during Homecoming Weekend Sept. 25-26, says Wake Forest instilled in her a sense of community and family that has remained important. She draws upon her experience in everything she does. “I didn’t realize at the time how important that period of your life is,” she says. “Use that time as a trampoline to open doors and make connections.” It’s advice she may well give her sons one day — both have already fallen in love with the school. And of her alma mater. Pro Humanitate.